Goa, Daman, and Diu was a union territory of India from 19 December 1961 to 30 May 1987. The union territory comprised the present-day state of Goa and the two small coastal enclaves of Daman and Diu on the coast of Gujarat. The territory, along with Dadra and Nagar Haveli, comprised Portuguese India. The territory was incorporated into India after the Annexation of Portuguese India in 1961. The "armed action" was code named Operation Vijay (meaning "Victory") by the Indian Armed Forces. It involved air, sea and land strikes for over 36 hours, and was a decisive victory for India, ending 451 years of rule by Portugal over its remaining exclaves in India. The engagement lasted two days, and twenty-two Indians and thirty Portuguese were killed in the fighting. The brief conflict drew a mixture of worldwide praise and condemnation. In India, the action was seen as a liberation of historically Indian territory, while Portugal viewed it as an aggression against national soil and its citizens. Daman and Diu is a union territory in western India. With an area of 112 km2, it is the smallest federal division of India on the mainland. The territory comprises two distinct regions—Daman and Diu—that are geographically separated by the Gulf of Khambhat. The state of Gujarat and the Arabian Sea border the territory. 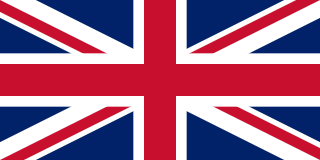 A Portuguese colony since the 1500s, the territories were annexed by India in 1961. It was ruled by Kolis. Tristão de Bragança Cunha, alternatively spelled as Tristao de Braganza Cunha, was a prominent Indian nationalist and anti-colonial activist from Goa. He is popularly known as the "Father of Goan nationalism", and was the organiser of the first movement to end Portuguese rule in Goa. Rajendra Prasad was the first President of India, in office from 1952 to 1962. He was an Indian political leader, and lawyer by training, Prasad joined the Indian National Congress during the Indian Independence Movement and became a major leader from the region of Bihar. A supporter of Mahatma Gandhi, Prasad was imprisoned by British authorities during the Salt Satyagraha of 1931 and the Quit India movement of 1942. After the 1946 elections, Prasad served as Minister of Food and Agriculture in the central government. Upon independence in 1947, Prasad was elected as President of the Constituent Assembly of India, which prepared the Constitution of India and served as its provisional parliament. Pt. 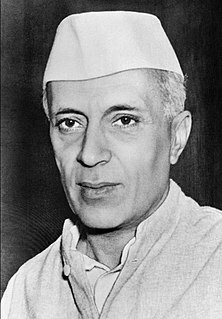 Jawaharlal Nehru was a freedom fighter, the first Prime Minister of India and a central figure in Indian politics before and after independence. He emerged as an eminent leader of the Indian independence movement under the tutelage of Mahatma Gandhi and served India as Prime Minister from its establishment as an independent nation in 1947 until his death in 1964. He has been described by the Amar Chitra Katha as the architect of India. He was also known as Pandit Nehru due to his roots with the Kashmiri Pandit community while Indian children knew him as Chacha Nehru. In June 1946, Ram Manohar Lohia, an Indian Socialist leader, entered Goa on a visit to his friend, Julião Menezes, a nationalist leader, who had founded the Gomantak Praja Mandal in Bombay and edited the weekly newspaper Gomantak. Cunha and other leaders were also with him. Ram Manohar Lohia advocated the use of non-violent Gandhian techniques to oppose the government. On 18 June 1946, the Portuguese government disrupted a protest against the suspension of civil liberties in Panaji (then spelt 'Panjim') organised by Lohia, Cunha and others including Purushottam Kakodkar and Laxmikant Bhembre in defiance of a ban on public gatherings, and arrested them. There were intermittent mass demonstrations from June to November. Ram Manohar Lohiapronunciation (help·info), was an activist for the Indian independence movement and a socialist political leader. During the last phase of British rule in India, he worked with the Congress Radio which was broadcast secretly from various places in Bombay until 1942. In 1963 Lohia elected as the member Parliament for Lok Sabha from the Farrukhabad constituency, Uttar Pradesh from the Samyukta Socialist Paty. Expresso is the flagship publication of the Group Impresa and is published weekly in Lisbon, Portugal. On 24 November 1961, Sabarmati, a passenger boat passing between the Portuguese-held island of Anjidiv and the Indian port of Kochi, was fired upon by Portuguese ground troops, resulting in the death of a passenger and injuries to the chief engineer. The action was precipitated by Portuguese fears that the boat carried a military landing party intent on storming the island. The incidents lent themselves to fostering widespread public support in India for military action in Goa. Meanwhile, the Portuguese authorities asked the Indian Government for permission to cross the Indian territory with reinforcements to Dadra and Nagar Haveli, but no permission was given. Surrounded and prevented from receiving reinforcements by the Indian authorities, the Portuguese Administrator and police forces in Nagar Haveli eventually surrendered to the Indian police forces on 11 August 1954. Portugal appealed to the International Court of Justice, which, in a decision dated 12 April 1960,  stated that Portugal had sovereign rights over the territories of Dadra and Nagar Haveli but India had the right to deny passage to armed personnel of Portugal over Indian territories. Therefore, the Portuguese authorities could not legally pass through Indian territory. Portuguese military preparations began in earnest in 1954, following the Indian economic blockade, the beginning of the anti-Portuguese attacks in Goa and the invasion of Dadra and Nagar Haveli. Three light infantry battalions (one each sent from Portugal, Angola and Mozambique) and support units were transported to Goa, reinforcing a locally raised battalion and increasing the Portuguese military presence there from almost nothing to 12,000 men. Other sources state that, at the end of 1955, Portuguese forces in India represented a total of around 8,000 men (Europeans, Africans and Indians), including 7,000 in the land forces, 250 in the naval forces, 600 in the police and 250 in the Fiscal Guard, split between the districts of Goa, Daman and Diu. Following the annexation of Dadra and Nagar Haveli, the Portuguese authorities markedly strengthened the garrison of Portuguese India, with units and personnel sent from the Metropole and from the Portuguese African provinces of Angola and Mozambique. By 10:00, Portuguese forces of the 1st EREC, faced with the advancing 2nd Sikh Light Infantry, began a south-bound withdrawal to the town of Mapuca where, by 12:00, they came under the risk of being surrounded by Indian forces. At 12:30, the 1st EREC began a retreat, making their way through the Indian forces, with their armoured cars firing ahead to cover the withdrawal of the personnel carrier vehicles. This unit relocated by ferry further south to the capital city of Panaji. At 13:30, just after the retreat of the 2nd EREC, the Portuguese destroyed the bridge at Banastarim, cutting off all road links to Panaji. By 17:45, the forces of the 1st EREC and the 9th Caçadores Company of the Portuguese Battlegroup North had completed their ferry crossing of the Mandovi River to Panaji, just minutes ahead of the arrival of the Indian armoured forces. The Indian tanks had reached Betim, just across the Mandovi River from Panaji, without encountering any opposition. The 2nd Sikh Light Infantry joined it by 21:00, crossing over mines and demolished bridges en route. In the absence of orders, the unit stayed at Betim for the night. In later years, commentators have maintained that India's intense air strikes against the airfields were uncalled-for, since none of the targeted airports had any military capabilities and they did not cater to any military aircraft. As such, the airfields were defenceless civilian targets. To this day, the Indian navy continues to control the Dabolim Airport, although it is also once more used as a civilian airport. At 09:00, three Indian frigates led by the INS Betwa took up position off the harbour, awaiting orders to attack the Afonso and secure sea access to the port. At 11:00, Indian planes bombed Mormugão harbour. At 12:00, upon receiving clearance, the INS Betwa and the INS Beas entered the harbour and fired on the Afonso with their 4.5-inch guns while transmitting requests to surrender in morse code between shots. In response, the Afonso lifted anchor, headed out towards the enemy and returned fire with its 120 mm guns. The sloop's crew formally surrendered with the remaining Portuguese forces on 19 December 1961 at 20:30. As a gesture of goodwill, the commanders of the INS Betwa and the INS Beas later visited Captain Aragão as he lay recuperating in bed in Panaji. Life International , in its issue dated 12 February 1962, carried an article titled "Symbolic pose by Goa's Governor" in which it expressed its vehement condemnation of the military action. The movie Saat Hindustani (1969), was about Operation Vijay. It won the 1970 Nargis Dutt Award for Best Feature Film on National Integration, and the Lyric-Writer of the Best Film Song on National Integration Award for Kaifi Azmi. Trikal , a film by Shyam Benegal and Pukar also have storylines based on the backdrop of 1960s Goa. Daman district is one of the two districts of the union territory of Daman and Diu on the western coast of India, surrounded by Valsad District of Gujarat state on the north, east and south and the Arabian Sea to the west. The district has an area of 72 square kilometres (28 sq mi), and a population of 191,173 at the 2011 census, an increase of 69.256% from the preceding 2001 Census. There is relatively little history of active practice of Hinduism in Portugal. Presently there is a Hindu community of approximately 9,000 persons, which largely traces its origins to Indians who emigrated from the former Portuguese colonies of Lusophone Africa, particularly from Mozambique, and from the former colony of Goa and other possessions in Portuguese India. Manuel António Vassalo e Silva was an officer of the Portuguese Army and an overseas administrator. He was the 128th and the last Governor-General of Portuguese India. The Roman Catholic Metropolitan Archdiocese of Goa and Daman encompasses the state of Goa and the Union Territories of Daman and Diu and Dadra and Nagar Haveli in India. The ecclesiastical province of Goa and Daman includes a suffragan diocese, Sindhudurg. The Archbishop of Goa also holds the titles of Primate of the East and Patriarch of the East Indies. The diocese is under the Roman Congregation for the Evangelization of Peoples. The Goa Opinion Poll was a referendum held in the state of Goa, India, on 16 January 1967, to decide the future of the Union Territory of Goa, Daman and Diu within the Indian Union. Although popularly called an opinion poll, it was in fact, a referendum, as the results of the poll were binding on the government of India. The referendum offered the people of Goa a choice between continuing as a union territory or merging with the state of Maharashtra. It is the only referendum to have been held in independent India. The people of Goa voted against the merger and Goa continued to be a union territory. Subsequently, in 1987, Goa became a full-fledged state within the Indian Union. The Goa liberation movement was a movement which sought to end Portuguese colonial rule in Goa, India. The movement built on the small scale revolts and uprisings of the 19th century, and grew powerful during the period 1940-1961. The movement was conducted both inside and outside Goa, and was characterised by a range of tactics including nonviolent demonstrations, revolutionary methods and diplomatic efforts. However, Portuguese control of its Indian colonies ended only when India invaded Goa in 1961 and incorporated the territories into the Indian Union. Fort Diu, is located on the west coast of India in Diu, a Union Territory, administered by the Government of India. The fort was built by the Portuguese during their colonial rule of the Diu island. The Diu town is located to the west of the fort. The fort was built in 1535 subsequent to a defense alliance forged by Bahadur Shah, the Sultan of Gujarat and the Portuguese when Humayun, the Mughal Emperor waged war to annex this territory. The fort was strengthened over the years, till 1546. Portuguese ruled over this territory from 1537 till 1961 they were forced to quit only in December 1961 during a military action called the "Operation Vijay" launched by the Government of India, whereafter Diu was merged with India and became a centrally administered Union Territory (UT). The Tenth Amendment of the Constitution of India, officially known as The Constitution Act, 1961, incorporated Dadra and Nagar Haveli as the seventh Union territory of India, by amending the First Schedule to the Constitution. It also amended clause (1) of article 240 of the Constitution to include therein the Union territory of Dadra and Nagar Haveli in order to enable the President to "make regulations for the peace, progress and good government of the territory". The 10th Amendment retroactively came into effect on 11 August 1961. Relations between India and Portugal began amicably in 1947 when the former achieved independence. Relations went into decline after 1950 over Portugal's refusal to surrender its exclaves of Goa, Daman and Diu on India's west coast. By 1955, the two nations had cut off diplomatic relations, triggering a crisis which precipitated in the Indian annexation of Portuguese India in 1961. Portugal refused to recognise Indian sovereignty over the annexed territories until 1974 when, following the Carnation Revolution, the new government in Lisbon recognised Indian sovereignty and restored diplomatic relations. Transportes Aéreos da Índia Portuguesa or TAIP was an airline which operated from Portuguese India from 1955 to 1961. During this period, it functioned as the state airline of Portuguese India, which comprised Goa, Daman and Diu. The Goa Police is the law enforcement agency for the state of Goa in India. The Twelfth Amendment of the Constitution of India, officially known as The Constitution Act, 1962, incorporated Goa, Daman and Diu as the eighth Union territory of India, by amending the First Schedule to the Constitution. India acquired control of Goa, Daman and Diu from Portugal in December 1961. The amendment also amended clause (1) of article 240 of the Constitution to include therein these territories in order to enable the President to "make regulations for the peace, progress and good government of the territory". ↑ Azaredo, Carlos; Gabriel Figueiredo (translation) (8 December 2001). "Passage to India – 18th December 1961". Goancauses.com. Archived from the original on 24 December 2010. Retrieved 20 February 2010. 1 2 3 4 Praval, Major K.C. Indian Army after Independence. New Delhi: Lancer. p. 214. ISBN 978-1-935501-10-7. 1 2 3 4 "Aviso / Canhoneira classe Afonso de Albuquerque". ÁreaMilitar. Archived from the original on 12 April 2015. Retrieved 8 May 2015. ↑ Castanheira, José Pedro (8 December 2001). "Passagem para a Índia" [Passage to India]. Revista. Expresso (in Portuguese) (Paço d'Arcos). Archived from the original on 8 December 2001. Retrieved 20 December 2015. ↑ "Obituary of Lt-Gen K. P. Candeth". 10 July 2003. Retrieved 29 January 2018. ↑ Numbers from 1955, thus excluding Dadra and Nagar-Haveli. The bulk (547,448) was in Goa (composed of the districts of Old and New Goa, Bardez, Mormugão and Salsete, and the offshore island of Anjediva), the remainder in Damman (69,005) and Diu (21,138). See Kay (1970) Salazar and Modern Portugal, New York: Hawthorn, p. 295. 1 2 3 H. Kay (1970) Salazar and Modern Portugal, New York: Hawthorn. ↑ "Kamat Research Database – Goa's Freedom Struggle" . Retrieved 8 May 2015. ↑ "On Rammanohar Lohia's 99th Birth Anniversary" . Retrieved 8 May 2015. ↑ "A Liberation From Lies By Prabhakar Sinari". Countercurrents.org. Retrieved 9 November 2009. 1 2 3 4 5 6 7 8 Castanheira, José Pedro (8 December 2001). "Passagem para a Índia" [Passage to India]. Revista. Expresso (in Portuguese). Paço d'Arcos. Archived from the original on 9 December 2001. Retrieved 20 December 2015. 1 2 3 "Operação Vijay 18 a 19/12/1961" (in Portuguese). Archived from the original on 26 February 2008. ↑ Goa was first recognised as equal to the metropolis in the Royal Charter of 1518, and affirmed in subsequent legislation. The term 'province' was first used in 1576, and the term 'overseas provinces' used in virtually all legislation and constitutions thereafter, e.g. Art.1–3 & Art. 162-64 of 1822 Constitution online, 1826 constitution online, Art. I & Title X of the constitution of 1838 online, Title V of the Republican constitution of 1911 online and the 1932 Constitution of the Estado Novo. ↑ "INDIA: Force & Soul Force". TIME.com. 29 August 1955. Retrieved 8 May 2015. ↑ Super User. "Ancient Goan History – GOACOM – GOA – INDIA – INFORMATION AND SERVICES IN GOA. Goa News, Goa Konkani News, Goa Sunaparant News, Goan Konakani News, Goa Video News, Goa Yellow Pages". Archived from the original on 14 February 2012. Retrieved 8 May 2015. ↑ "Francisco Monteiro – India supported banditry in Goa". Archived from the original on 23 September 2015. Retrieved 8 May 2015. 1 2 3 4 5 6 Couto, Francisco Cabral (2006). Pissarra, José V., ed. O fim do Estado Português da Índia 1961 : um testemunho da invasão[Remembering the Fall of Portuguese India in 1961]. Lisbon: Tribuna da História. pp. 22–102. ISBN 978-972-8799-53-3. 1 2 3 Pillarisetti, Jagan. "The Liberation of Goa: 1961". Bharat Rakshak . Archived from the original on 5 October 2003. Retrieved 12 June 2014. ↑ Kore, V.S. "Liberation of Goa: Role Of The Indian Navy". Bharat Rakshak. Archived from the original on 4 February 2013. Retrieved 12 June 2014. 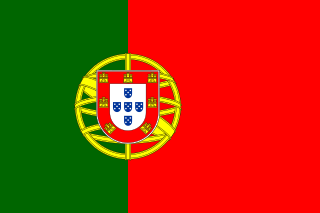 1 2 3 The Portuguese Armed Forces and the Revolution . Retrieved 8 May 2015. 1 2 3 4 5 6 7 Lopes (2007), José Alves. Estado Português da Índia – Rememoração Pessoal. Lisboa: Revista Militar. ↑ "Invasão de Goa: O dispositivo português". ÁreaMilitar. Retrieved 8 May 2015. ↑ "Portuguese Navy 1875". Battleships-cruisers.co.uk. Retrieved 9 November 2009. 1 2 3 4 5 6 7 8 9 10 11 12 13 14 15 16 17 "A invasão: Damão e Diu". ÁreaMilitar. Retrieved 8 May 2015. ↑ Chopra, V. D., ed. (2006). India's Foreign Policy in the 21st Century. Kalpaz Publications. p. 219. ISBN 81-7835-500-0. ↑ Egypt and India, A study of political and cultural relations, 1947–1964; Zaki Awad, El Sayed Mekkawi, Preface page i/. ↑ Loughran, I.S. "Four Sorties Over Goa". Bharat Rakshak. Archived from the original on 4 February 2013. Retrieved 12 June 2014. 1 2 3 4 5 6 7 8 9 10 11 Chakravorty, B.C. "Operation Vijay". Bharat Rakshak. Archived from the original on 31 March 2014. Retrieved 12 June 2014. ↑ Mohan, P. V. S. Jagan (November–December 2001). "Remembering Sagat Singh (1918–2001)". Bharat Rakshak Monitor . 4 (3). Archived from the original on 4 February 2013. Retrieved 12 June 2014. 1 2 3 4 5 6 7 "17 / 18 / 19 de Dezembro: A invasão (Território de Goa)". ÁreaMilitar. Retrieved 8 May 2015. 1 2 "Dabolim and TAIP". Colaco.net. Archived from the original on 25 December 2009. Retrieved 9 November 2009. 1 2 3 4 5 6 7 8 9 10 11 Shorey, Anil (21 February 1999). "The forgotten battles of Daman and Diu". The Tribune . Retrieved 8 May 2015. ↑ "The Liberation of Goa: 1961". Archived from the original on 20 November 2013. Retrieved 8 May 2015. ↑ "The Church in Goa". Goacom.com. Archived from the original on 2 April 2012. Retrieved 9 November 2009. ↑ "Peaceful and quickly over". Indianexpress.com. Retrieved 9 November 2009. ↑ "General Service Medal". Archived from the original on 3 March 2016. Retrieved 8 May 2015. ↑ Datta, Rakesh (26 June 2005). "Not all generals are leaders". The Tribune . Retrieved 9 November 2009. ↑ "India: End of an Image". TIME.com. 29 December 1961. Retrieved 8 May 2015. ↑ "Records show colonizers were not done with Goa". The Times of India. Panaji. 19 December 2011. Retrieved 6 January 2016. ↑ Xavier, Constantino (3 May 2014). "Lost in delusion". The Goan. Archived from the original on 4 July 2014. Retrieved 8 May 2015. ↑ "TREATY BETWEEN THE GOVERNMENT OF INDIA AND THE GOVERNMENT OF THE REPUBLIC OF PORTUGAL ON RECOGNITION OF INDIA'S SOVEREIGNTY OVER GOA, DAMAN, DIU, DADRA AND NAGAR HAVELI AND RELATED MATTERS  INTSer 53" . Retrieved 8 May 2015. ↑ de Morais, Carlos Alexandre. A queda da Índia Portuguesa: crónica da invasão e do cativeiro. Lisbon: Editorial Estampa. ISBN 972-33-1134-8. ↑ AEIOU. "AEIOU.pt" . Retrieved 8 May 2015. ↑ "Dossier Goa – A Recusa Do Sacrifício Inútil Summary". Shvoong.com. Retrieved 9 November 2009. ↑ Saude, Goa, Prince Mathews Thomas Thomas, 01.26.11, 06:00 PM EST, Fifty years after its liberation from Portuguese rule, this tiny tourist state is rethinking its future again. ↑ "Changing Perceptions Of India In The U". Sga.myweb.uga.edu. Archived from the original on 10 December 2009. Retrieved 9 November 2009. ↑ Letter From President Ayub to President Kennedy, Rawalpindi, 2 January 1962. ↑ de Souza, Teotonio R. (December 1986). "Unless Ye Become Like Children..." Goa Today . ↑ Costa, Cosme Jose (21 December 2014). "Reminiscences Of Goa's Liberation". O Heraldo. Goa. Retrieved 30 September 2015. ↑ Peter Malanczuk (12 April 2002). Akehurst's Modern Introduction to International Law. Routledge. pp. 156–. ISBN 978-1-134-83388-7. Portugal acquired Goa by conquest in the sixteenth century, and India recogized the Portuguese title after becoming independent in 1947. However, in the Security Council debates which followed the invasion, India argued that Portugal's title was void because it was based on colonial conquest. Such a view is correct under twentieth century notions of international law, but hardly under sixteenth-century notions. The sympathies of most of the members of the United Nations lay with India, and neither the Security Council nor the General Assembly condemned India's actions. But this does not necessarily mean that they thought India's action was legally justified. ↑ Andrew Clapham; Paola Gaeta; Marco Sassòli (15 October 2015). The 1949 Geneva Conventions: A Commentary. OUP Oxford. pp. 1465–. ISBN 978-0-19-100352-3. In the case of the annexation of Goa by India in 1961, the Supreme Court of India held that the annexation was valid and the law of occupation no longer applicable. In 1974, Portugal recognized the Indian sovereignty over Goa by a treaty with retroactive effect. ↑ Alina Kaczorowska-Ireland (8 May 2015). Public International Law. Routledge. pp. 268–. ISBN 978-1-317-93641-1. It is submitted that in the light of the jus cogens rule prohibiting the threat or use of force any annexation which has taken place after the entry into force of the UN Charter e.g. the annexation of Tibet by China in 1951, the annexation of Hyderabad by India in 1948, the annexation of Goa (despite the fact that Portugal relinquished its claim and recognised the sovereignty of India over Goa by a treaty) should be regarded as illegal and thus without any effect under international law. Such fundamental illegality can neither be justified by the subsequent conclusion of a peace treaty nor by the application of the doctrine of historic consolidation. ↑ Sharon Korman (31 October 1996). The Right of Conquest: The Acquisition of Territory by Force in International Law and Practice. Clarendon Press. pp. 275–. ISBN 978-0-19-158380-3. It may therefore be argued that the recognition of India's annexation of Goa involved the bending of a principle (the inadmissibility of the acquisition of territory by the use of force) to accommodate a reality which was regarded as being, on the whole, beneficial, even if this situation originated in illegality. But it did not involve the abandonment of the legal principle prohibiting the acquisition of territory by force-even in respect of territories defined as colonies. The conclusion that India's successful annexation of Goa cannot be taken to indicate the existence of a legal right of reconquest in cases where a former colony seeks to recover what it considers to be its pre-colonial frontiers is reinforced-even more strongly and conclusively-by the practice of states in connection with Argentina's attempted conquest or reconquest of the Faulkland islands.